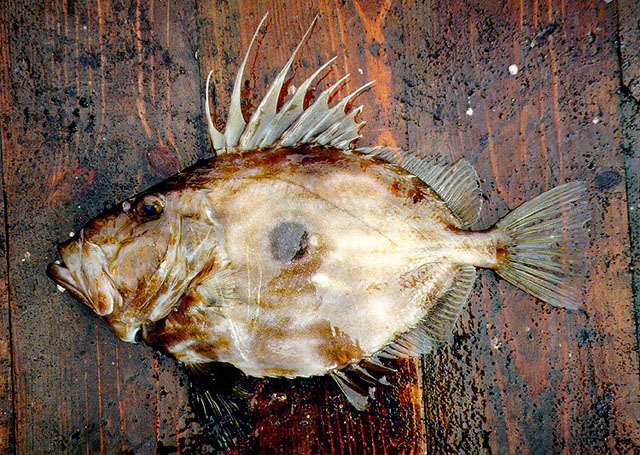 John Dory have been revered as one of the most succulent white fish in Upscale Dining for decades. Globally known and respected, John Dory has had a place in some of the best restaurants in the world. The firm yet supple white flesh has naturally high levels of glycogen that translates into a brilliant sweetness. John Dory fillets cook to paper white flake that are loaded with moisture. It’s an elaborate protein that requires little effort to perfect. If Sole or Turbot have had succeses on your menu, John Dory will enamor your guests. The John Dory, also known as Saint Peter Fish, Saint Pierre, and Martin’s Fish, inhabit cold waters around the world, but are predominantly sourced, by SeafoodS.com, from the pristine waters of New Zealand. Known as Kaparu by the Maori, the John Dory has been documented as a celebrated protein since James Cook’s first visit to New Zealand in 1769. SeafoodS.com has your John Dory. We have secured direct imports from the leading fisheries in New Zealand, and are positioned to supply John Dory nationally. SeafoodS.com’s Priority Overnight Deliveries ensures the highest quality and guaranteed freshness. With direct flights from the fishery to LAX, we position our customers to “buy like a distributor”. There is no simpler avenue for securing John Dory, and we are committed to supplying the finest proteins in Fine Dining. Categories: PRODUCT KNOWLEDGE | Tags: Chef, Day Boat Fresh, Executive Chef, fish information, food information, fresh fish, Fresh Seafood, Hotel, import seafood, John Dory, learning seafood, Pacific Seafood, purchasing, Quality Seafood, resort, Restaurant, restaurant menu, seafood, Seafood Chef, Seafood Ordering, Seafood Restaurant, Sous Chef, teaching seafood | Permalink.